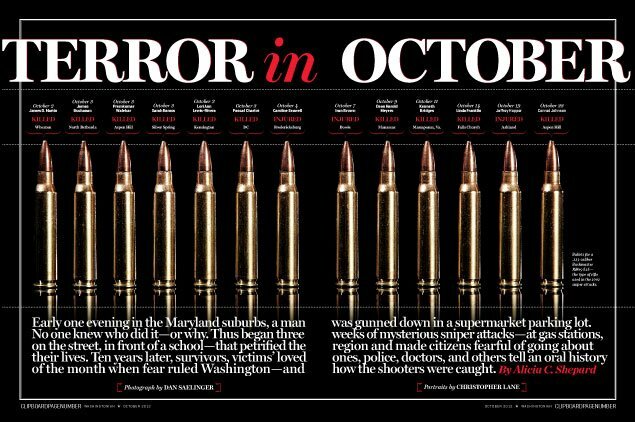 Ten years later, survivors, victims’ loved ones, police, doctors, and others tell an oral history of the month when fear ruled Washington—and how the shooters were caught. infecting 17. Then the snipers. street, attend school sports events, live their lives. and wounded three more between October 2 and 24.
fear that her husband would track her down and kill her. at 6:02 pm at a Wheaton Shoppers Food Warehouse. out there with the press 90 percent of the time; I’ll be there 10 percent. call, and put my uniform back on. function. A lot of people saw him go down, but no one saw the assault. Mildred Muhammad was married to John Allen Muhammad for more than ten years. They divorced before the attacks because of his abuse. vacuuming her minivan at a Kensington Shell station. calling to tell him to be careful. listening to the radio or TV. dies. I checked for a pulse but didn’t feel one. I began mouth-to-mouth. chest.’ The victim vomited, but he wasn’t alive. 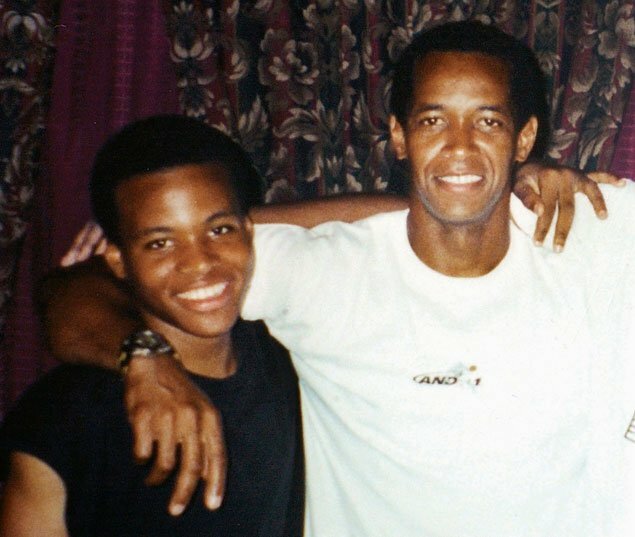 An angry man and a teen under his spell: snipers John Allen Muhammad (right) and Lee Boyd Malvo. Below, a high-powered rifle like the one they used. Photograph of Malvo and Muhammad courtesy of Iphoto/Newscom. tough for a district with more than 100,000 children and 11,000 teachers. “Lori decided she was going to become a nanny in sixth grade. went to step on the curb, and they started coming at me; I fell backward. Doug Duncan was Montgomery County executive in October 2002. 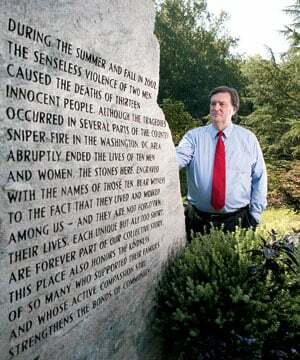 He’s shown at a memorial to the sniper victims at Brookside Gardens in Wheaton. Photograph by Christopher Lane. artery. He died an hour later. something on the radio. We’d done live shots at Aspen Hill an hour before. There was another shooting. By this time, it was clear there was a sniper. gas, I was looking around before it dawned on me: I’m not in DC. It just played on your mind. is the snipers tended to shoot from a bit of a distance. Even with Mr.
citizens—not trained observers—saying they saw a white box truck. were looking for the wrong vehicle. Monday, October 7. It was the eighth shooting. was the first to arrive. and needed help, but it didn’t seem to register in her brain. knew more than the average person. She rushed me to a clinic. Dr. Martin Eichelberger helped treat Iran Brown at Children’s National Medical Center. Photograph by Christopher Lane. surgical team coordinated by Dr. Newman, who was working with the police. 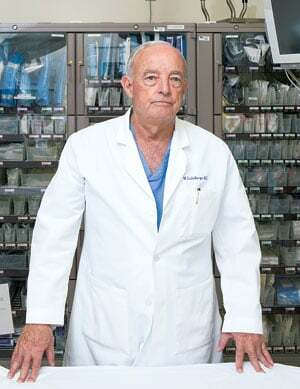 on that, and Dr. Eichelberger concentrated on the surgery. was a potential living witness. “We needed to establish a chain of evidence so that if Dr.
tubes in my stomach, my nostrils, my throat. 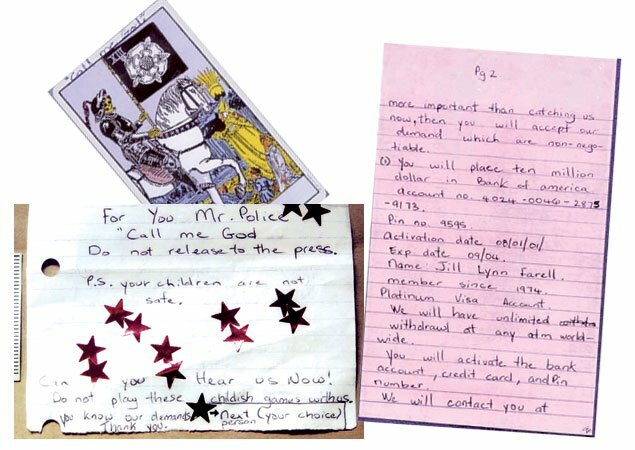 Terrorized the Nation” by Sari Horwitz and Michael E.
Photograph of notes and tarot card courtesy of ATF. card, which Moose didn’t want made public. that night when I had it confirmed. notification that the story was going to be done. I became the bad guy. during press conferences. We didn’t want anyone taken out while on camera. shot dead while pumping gas at a Manassas Sunoco station near his office. It was the third shooting at a gas station. functioning. We didn’t do Code Blue just once—it was done repeatedly. 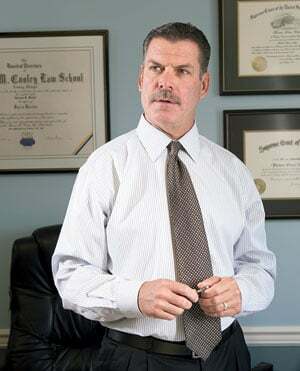 two, McLean: “I was manager of a girls’ soccer team, the McLean Rockets. “How did it affect me? Life is short. Get to your bucket list. 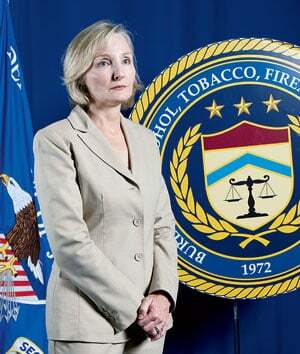 April Carroll was an agent on the case for the Bureau of Alcohol, Tobacco, Firearms and Explosives. Photograph bby Christopher Lane. in Ashland at about 8 pm. He survived. the content, and they wanted it bad. TV depictions rather than a track record of what profilers can do. Bald would do an operational briefing. 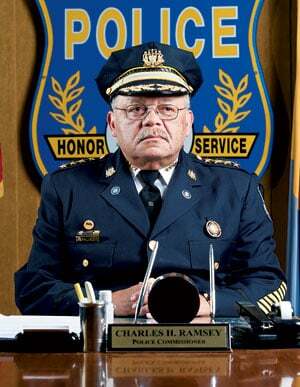 Charles Ramsey was DC police chief in 2002. 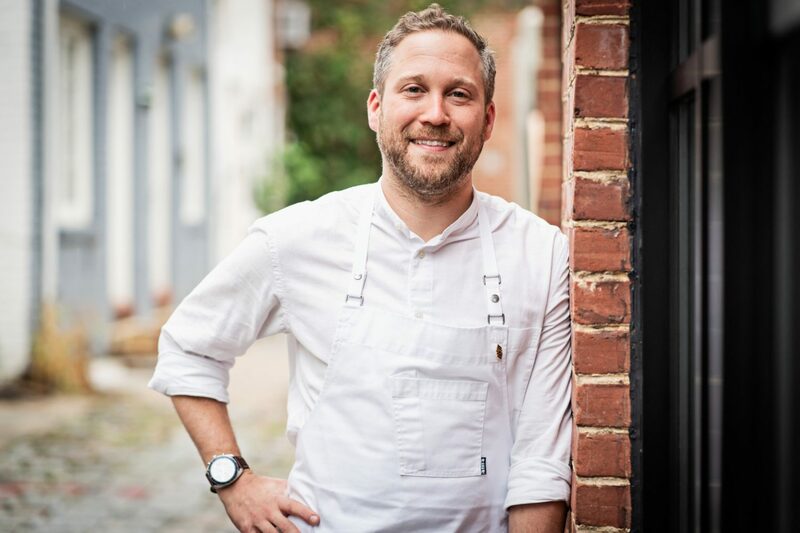 Photograph of Ramsey by Christopher Lane. homicide wanted to know. There was a smaller group who had had a murder. 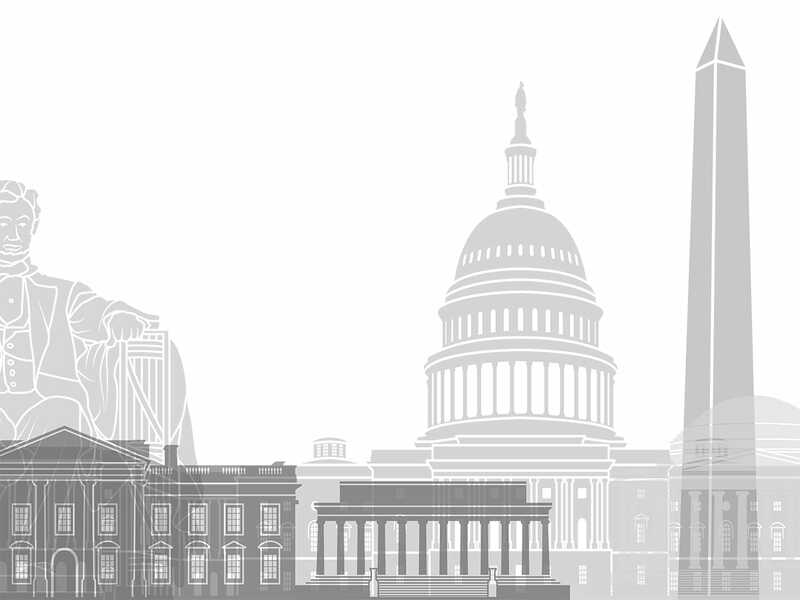 the expertise of many police departments and resolve it in 23 days. rampage; three were shot and wounded. knew Muhammad had a stolen .223.
to put somebody’s reputation out there and damage it if you are not sure. swarmed the Caprice and arrested the pair. Muhammad might be the sniper. was a box of doughnuts. She started crying. involvement, but Malvo opened up to Fairfax police. Thomas Walsh was one of Lee Malvo’s attorneys. 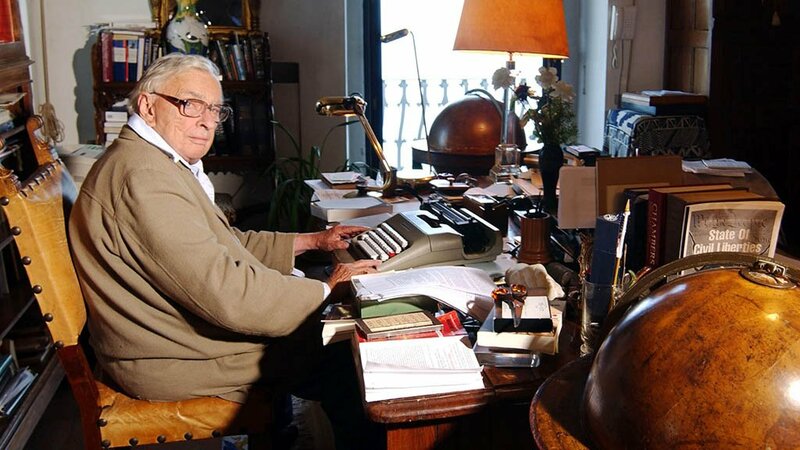 Photograph by Christopher Lane. would not voluntarily give us a narrative. planned things together and figured out where and how to shoot together. 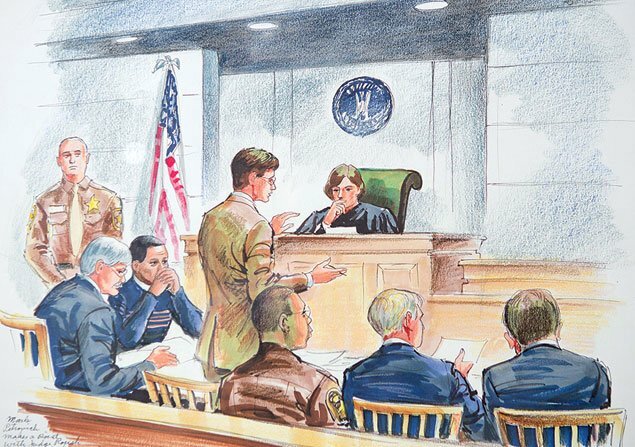 Photograph of courtroom sketch (by Betty Wells) courtesy of Thomas Walsh. because of their vigorous use of the death penalty. man would get a fair trial in the Washington area. Buchanan: “I went away every week and left my family to attend the trials. stuff, and the next thing you know she’s gone. Virginia Department of Corrections: “Malvo is in segregation status. he doesn’t burn in hell. stuck a needle in his arm. longer in existence. He wasn’t worth the time we spent thinking about him. have. Watching him die would have been part of the process. remorse, as opposed to Muhammad, who showed no remorse to me. wanted to start a foundation, and we can carry out things he believed in. last year, we’ve given $117,590 through our golf tournaments. because I miss my cousin very much, and you are bringing things back. Alicia Shepard, former NPR ombudsman, is a visiting journalism professor at the University of Nevada, Las Vegas. She can be reached at aliciacshepard@gmail.com.